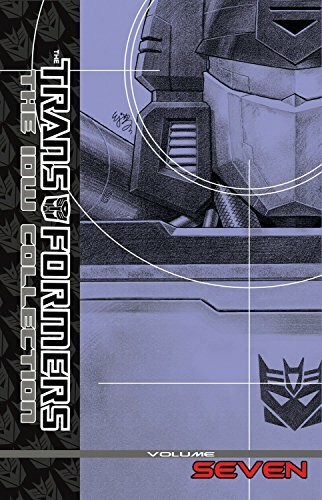 The re-presentation of IDW's Transformers Universe continues in volume 7! Includes the Drift 4-issue series, Infestation V. 1 TF #1-2, plus Ongoing issues #7-18! The re-presentation of IDW's Transformers Universe continues in Volume 7! Includes the Drift four-issue series, Infestation Volume 1: Transformers #1–2, and Ongoing issues #7–18!